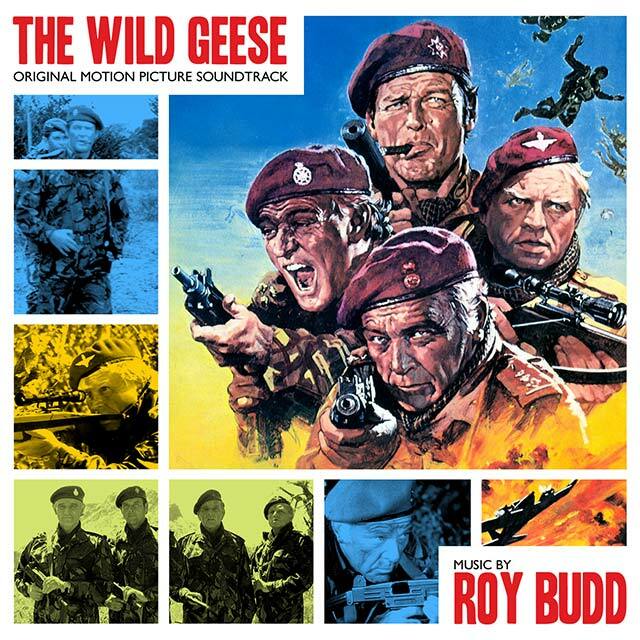 The Wild Geese soundtrack album is the latest addition to Silva Screen’s reissues of Roy Budd’s catalogue which features extensive digital remastering. Mixture of moods and genres, from Borodin’s Notturno to military marches, Roy Budd’s score is based on a brief to emulate the classic Hollywood adventure movie music of the likes of Max Steiner and Erich Korngold. Budd’s gift for urban rhythms and his individual approach to electronic and ‘found’ sound, made him particularly well suited to gritty urban tales, dark thrillers, adventures and war films. The soundtrack also features the famous theme Flight Of The Wild Geese, written and performed by Grammy nominated singer-songwriter Joan Armatrading at the height of her career. The Wild Geese was released in 1978 to great success and over the years the film has developed a cult status.